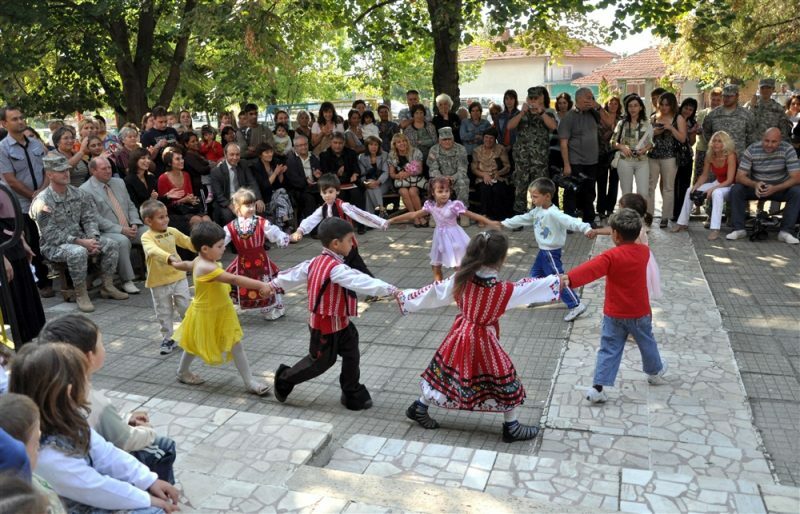 Children dancing in the village of Zimitsa, Bulgaria in 2011. U.S. Army photo  by Maj. M. B. Gorospe, Public domain. The dire condition of children's healthcare in Bulgaria is in the spotlight after the head of the surgical department at Sofia's famous pediatric cardiology hospital warned that the institution might be forced to close. We, the parents, the adults with congenital cardiac malformations and people close to children with cardiac malformations, address you appealing for an action, in order to not let the Child Cardiac Hospital, a unit of the National Cardiology Hospital, to stop functioning. It is the only place in Bulgaria where the hundreds of children born with complex congenital malformation are given a chance at life. The hospital welcomes patients from all over the country, 24 hours per day. On an annual base, there are 400 cardiac surgeries and invasive procedures performed on children from the ages of 0 to 18. They undergo surgery and are saved in the clinic and afterwards they are monitored over time. 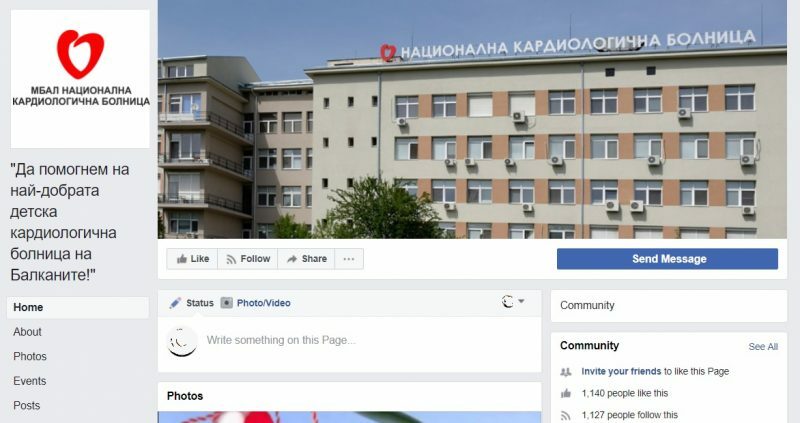 Screen shot of the Facebook page “Let’s help the best children’s cardiology hospitals in the Balkans”. Let's not allow this to happen! Our children and youth are the treasure of the whole country! Let's support the great doctors and nurses, who save our children's lives. The hospital isn't alone in its struggles, however. In 2015, child mortality in Bulgaria stood at 6.6 out of 1,000 babies, according to an Organisation for Economic Cooperation and Development (OECD) health profile of Bulgaria . This is 80 percent higher than the EU average of 3.6 out of 1,000 children. The OECD analysis also showed that in provincial areas the mortality rate was four to six times higher than in the capital, and that 72 percent of the general child mortality occurs in the prenatal period (i.e. shortly before birth, during birth or up to a week after birth) or because of congenital malformations, which is one of the conditions treated at the pediatric cardiology hospital. Bulgaria, with a population of 7 million, currently has only 10 pediatric surgeons, and 400 pediatricians are currently needed to fill the existing vacuum . Cardiologists in pediatric units complain about the lack of nurses in intensive care units. The increasing age of doctors is another issue: many are over 55 years old and working even though they are technically retired. When it comes to neonatologists , or doctors specialized to provide medical care to newborn infants, especially the ill or prematurely born, those working in the country's larger hospitals are on average over 50 years old, according to testimonies at a 2017 parliamentary roundtable  on child healthcare. Smaller Bulgarian hospitals have no neonatologists at all. Hospitals have difficulty attracting young people to work in outside of the big cities, and many young people prefer to work in private hospitals over state clinics. Lack of funding is an issue. Municipal hospitals service 150 Bulgarian municipalities, and 20 hospitals have been closed in the last 10 years due to lack of funds, according to data of The Union of Municipal Hospitals. 31 hospitals are experiencing dire financial problems, including 10 which cannot pay salaries to their employees because of debt. In the city of Dimitrovgrad, for example, staff have not received their full salaries for two years in a row. Even in Sofia, the obstetrics and gynecology unit in Second Multi-Profile Hospital is facing closure. There are only eight gynecologists and one neonatology expert at the hospital. For 2018, however, the state has earmarked around 285 million Bulgarian lev (146 million euros) for child healthcare, or about 12% of the total 2.4 billion lev budget of the National Health Insurance Fund, a figure that was criticized as still too low. In response to the protests and the deteriorating financial conditions of hospitals, the health ministry increased funding for clinical pathways —the main tool used to manage the quality of healthcare and improve health outcomes—by 150 million (77 million euros) in February 2018. The general state budget for health was boosted  by 400 million (200 million euros). This allowed an increase of about half of the clinical pathways mainly for pediatrics and pulmonology, and also for gynecology, neurology and congenital malformations. At least for the time being, these measures are considered a victory for child healthcare. But it is yet to be determined if the injection of new funding is sufficient to help the hospitals achieve normal operation. Some people have criticized the new measures as not enough or even as posing a threat to some of the hospitals in the province. Bulgaria's health minister Kiril Ananiev, however, has said that in spite of increased funding, without structural changes the kinds of improvements needed will not be achieved. Ananiev has hinted  that he is committed to putting forward a new model that would be amenable to all sides.